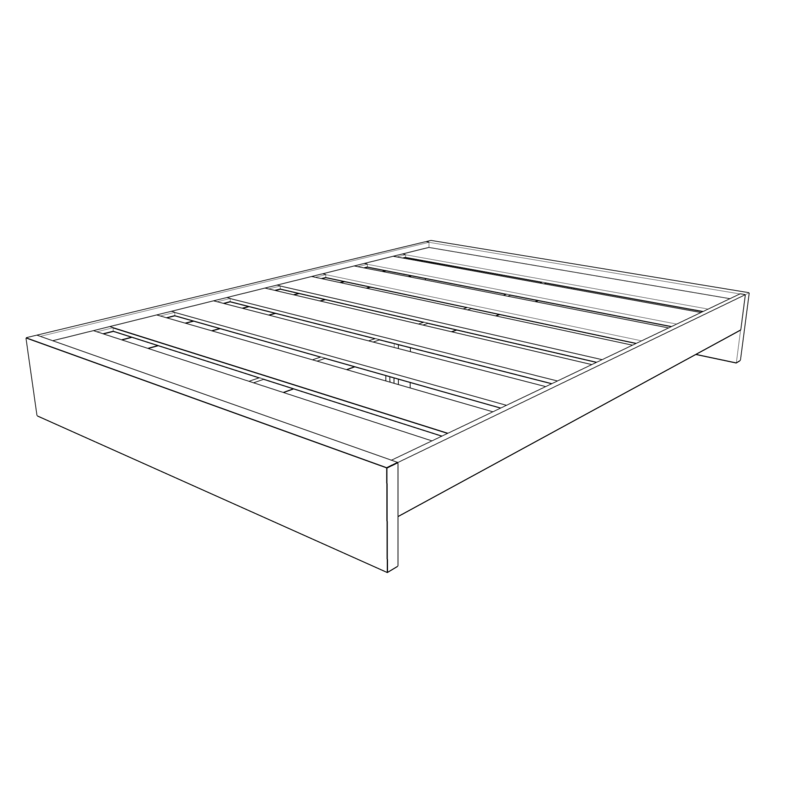 The Prescott (base) is a solid wood platform bed frame, handcrafted specifically for you and designed to last a lifetime. The aesthetic is unique; we blend a modern profile with splashes of rustic flair, ensuring a truly one-of-a-kind piece of bedroom furniture. The quality is superb, it fits perfectly into our unique constraints, the entire process was a delightful experience and the product far surpasses anything else we have looked at, even beds at triple the price. Highly recommend communicating with them about any project you might be contemplating. This is a great bed - beautiful wood, really well made, and easy to assemble. I love how my room looks with this bed at the center. Definitely recommend! Also the customer service with Timeless Wood Furniture was personalized and friendly and an enjoyable part of the experience. I'm really glad to support their work. The bed is insanely AMAZING! Thanks so much Tristan and the whole team for making the most beautiful bed I've ever had. I can't believe in my eyes that the bed is just exactly like what I imagine in my head. You guys are incredible. I feel like you and your team just made the unreal thing to real thing.